My adorable Simon-cat has a not-so-adorable problem. Much like his cat-mom, he suffers from some pretty serious OCD. Like most cats, Simon is a thorough cleaner. The problem is, if he comes across any sort of scratch or skin irritation—as critters that come equipped with sharp claws are wont to do—he’ll obsessively clean the area until he’s created a painful sore, which he’ll then want to clean some more. This scenario always leads to the same inevitable conclusion: a trip to the vet and several weeks in the Cone of Shame. This is not a happy outcome for anyone involved. So, when a spot that I’d been watching crossed the line yesterday, I dug out the cone and watched sadly as my poor little kitty sulked around and bumped into things. 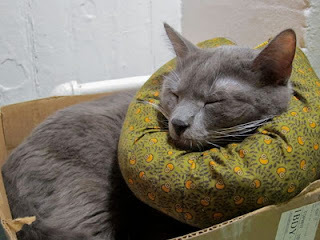 On a whim, I started googling around for alternatives to Elizabethan collars, thinking that maybe I could put my DIY skills to work on something that would make Simon more comfortable. When I came across this ProCollar Protective Collar, which promised to restrict movement while leaving vision more or less unrestricted, the gears in my head started turning. I went to work on designing a version that would hook right to Simon’s collar, giving it the best chance of actually staying in place. The process was pretty quick and dirty—I wanted to get Simon out of that cone ASAP—but it’s basically comprised of a 20″ fabric tube with tabs sewn into the seams. To keep it both fluffy and light, I reinforced all of the stitching, then stuffed the tube with plastic shopping bags before closing the final seam. Once fitted, I stitched the ends together to form a closed loop, then threaded the collar through the tabs. A quick note on Simon: Simon is a 9-year-old rescue cat who has always had anxiety and stress issues (and whom I love more than just about anyone else in the world). We work very closely with our vet to ensure that he has the right diet and home environment to keep him as relaxed and healthy as possible. Simon’s obsessive tendencies are mostly well-controlled. While the over-grooming issue isn’t a frequent occurrence, it is one that must be dealt with when it arrises. This is brilliant! And….if iI know a certain crafty someone, Simon will have multiple versions for holidays! Or robots! Whee!!! Oh he looks so adorable. He seems to be enjoying the collar. It gets the job done at least. Ingenious!I never would've thought of doing that. So glad it's helping Simon, he looks adorable! Thank you for sharing! Oh, poor Simon. I'm so glad he found a supportive home with you. And what a brilliant solution! He looks like he might be enjoying the pillowy head-support when he's resting, at least. Yes! Robots! Now, all I need is some fancy fabric like the print that you found.. Thanks! He's not quite as mad as he would be if he had to wear the cone, but he certainly isn't pleased. I conveniently left out the photos of him looking ornery. Thank you so much for sharing! My in-laws cat has a similar problem but with her head. I used a long sleeve t-shirt. It seems to be working. My mother in law was able to take the cone off and now she seems much happier. We shall see if she is able to scratch her ears . So far so good. Thank you! Our cat nilla is the exact same way~! All her sores are on her neck though so she cant wear a collar, which is so tragic. I really love this idea though so Ill have to try to think of some way to adapt this for out kitty. So lovely. Thank you for sharing this. My cat, Dennis, is also obsessive compulsive and has recently developed this over-licking habit. I have been looking for a DIY idea since he is currently wearing a traditional e-cone with an extension made of cardboard (his sore is on his tail, which makes virtually every store-bought cone inadequate–he is very flexible and persistent). On to the pattern drafting! I think I should make one of these for my OCD Angel. She grooms non-stop when it comes time for bed… and wants to be near my face or arms when she does it. Makes for a long period of trying to go to sleep. Cute, friendly idea! It works really well, but I definitely could have gotten away with making it slightly less thick. I think a smaller version would have stopped the licking, but wouldn't have gotten in his way quite as much. Oh fantastic! my cat is having this exact issue, and we’re both going crazy. me – from trying to make him stop licking the scratches on his belly, and he – wanting to do it. It’s been going on so long now that he’s got a bald spot the size of my palm. So i’m gonna sit down and make this right away! 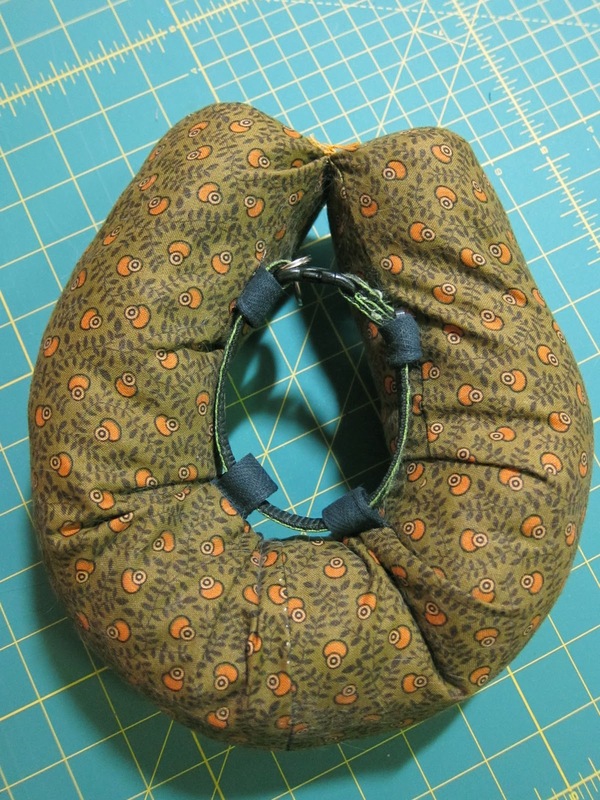 I made one that I could place on top of two 3″ relatively flat soft collars that I also made. Even with the underlying soft collars, my 9.5 pound (apparently super-flexible) 10 year old cat was able to easily reach over the collar to chew on his “bum” and upper rear legs. Yes, I made the tube collar with a decently-sized diameter (and stuffed it with cotton batting). My cat is also able to easily reach over the 3″ BiteNot collar. 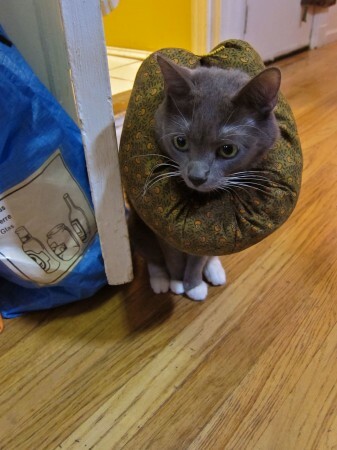 I’m still looking for an alternative to the plastic E-collar… he’s soooo uncomfortable. Any other thoughts? I’ve heard good things about fabric e-collars. Maybe try making something like this http://www.amorepetshop.com/Ez-Soft-Collar-Extra-Small-X-Small85-X-65-X-15_p_1155.html using plastic aquarium tubing around the outer opening so it stays open and keeps shape?  You could also use more tubing or a few flexible plastic strips as boning to keep your acrobat kitty from reaching around the opening. I hope that helps! Good luck to you and your kitty. I sewed one on each of the seams of a blue collar and then finished inside and outside circle seams with seam binding. The boning was also held in place with seam binding. This was good for about a year as he must have it on 24/7. My cat has soft tissue damage on the upper side of back haunch and chews through to the muscle if permitted. His femur top was surgically removed as a result of a dog attack. Thank you for this fabulous alternative to the plastic collar. Mussi was so unhappy after her surgery and more stressed with the collar. We have made two so far and they are working well. I know this great idea will speed along her recovery. my cat is very allergic to plastic so was unable to wear the plastic cones. i just bought a collar very similar to yours, paid $20.00, made out of leather(i think) and he has clawed it and somehow still is able to lick his sore leg.. this one is held together with a long strip of velcro., that way you dont have to pull it over their head.it also does have tabs to tie..
will use your pattern but put the velcro on , also will make one for our vet and see if they like it better. Velcro is a great idea–let me know how it works out! My cat also suffers from OCD licking. It’s been going on for years. I have tried everything – the feliway worked for a year or so, and it’s impossible to get him to take medicine. Therefore, my cat has be literally strutting his cone for quite some time. It’s small enough so that he gets around just fine, but cannot lick his inner arms ( he licks them until they are bleeding!). I recently purchased the “bite proof” 21st century inflatable collar – yeah, first night he deflated it. This is a great idea and I’m gonna have to try it! Thanks for sharing! Gizmo thanks you too! I just saw the picture on Google search of your pillow. this is brilliant, now I need to make 2 in the next 36 hours as my 2 boys are getting neutered on Thursday. The store wants $25 per blow up version, now I can save a little and then even use up some of those Walmart bags that multiply faster than rabbits!! Aww. I had an OCD kitty once. :) She always had a naked belly, but it was heart breaking when she created sores. :( Hopefully your little man doesn’t have the episodes often. The slightest things to us seem to trigger it for them. Thank you for this! I am going to try an make it tonight for a stray cat I’ve taken in who is covered in stubborn granulomas. If it works I’ll make a couple. The worst one is heart-shaped between his shoulder-blades, from him licking from both sides. But because of where the sore is, I’m sure the collar will get blood on it, so this design is great because I can make a couple and throw them in the washing machine. I just stumbled on this and am so excited! I have a fabric collar, but it’s cone shaped and she can’t eat wearing it. My kitty has the same weird ocd. Def going to try this! Thanks for posting this. I just made something like this for my cat. He has an irritated front paw and kept licking at it so it wouldn’t heal. I used an old pillow case folded it in thirds lengthwise and stitched it down the side. Filled with light plastic grocery bags. Added tabs for the collar and tied it at the ends. Cat does not seem too traumatized by it so far. I understand the length of your tube was 20″. What was the width of the fabric piece? I’m not sure how thick the tube should be. Thanks! The width of the fabric varies depending on the size of the pet/how thick you’d like the collar to be. I’d recommend stuffing and basting a scrap piece of fabric, making adjustments until you figure out the best width for your pet. Thank you so much! I am so happy you shared your creativity! You have saved me from shedding some tears! Our cat licks until he has bald spots and then licks them until they bleed. :( He is currently wearing baby pajamas and the new soft e-collar to hopefully let his legs heal. I made one of yours last night (20″x11″) and it is working very well. I used gross grain ribbon for the loops. Thank you again! Thank you for sharing the DIY collar! I made one for my 13 yr old calico cat. I did have to overlap the top and used Velcro to secure it because somehow she turned it and was able to lick the spot near her tail until it was bleeding. You are awesome for sharing. This is fantastic! My cat underwent surgery yesterday morning and the vet recommended the cone of shame as you call it. Absolute horror! bumping into things, not being able to eat and sleep…You know it all. So, at 4 am I was searching the net and found your website. Thank you so much for sharing this great idea of a collar. Big Kiss to Simon for me. This is awesome. Going to try for my OCD poodle cross who is super anxious all the time who is also a rescue dog. She constantly scratches and bites herself, we get her groomed every 6 weeks and ive used rescue remedy and other thingd to no avail. Cant wait to try, I think I will use a pool noodle as the insert too. Thanks for sharing. I was searching in Pinterest for ideas and I found this. OMG so amazing. I used a really long sock. Thanks! Thanks! So glad it worked for you!